In the name of the brain. I’m sorry, okay? But can I say something? Look, I admit I wasn’t perfect. No one is perfect. That’s a fact. Speaking of facts, don’t you think we all need to take a minute and decide who is right and who is wrong? Every side is different; it’s just that my side seems more right. I am not just saying that because it’s my side. I think a lot of other people would agree with me if given the chance. If I upset you in some way, please know that wasn’t my intention. I didn’t know how sensitive you were. It’s obvious I can set you off very easily. That’s not an insult, it’s just an observation. I think it would help if we talked about this more and argued about who is telling the truth. I would like to see you in person to tell you how this situation has affected me. I may use this opportunity to bring up other times you have hurt me in the past. If possible, I would like to hurt you back. Either way, I want to be in control. Until then, take care and please remember I reached out first. 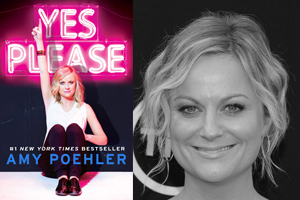 Poehler, Amy (2014) Yes Please.